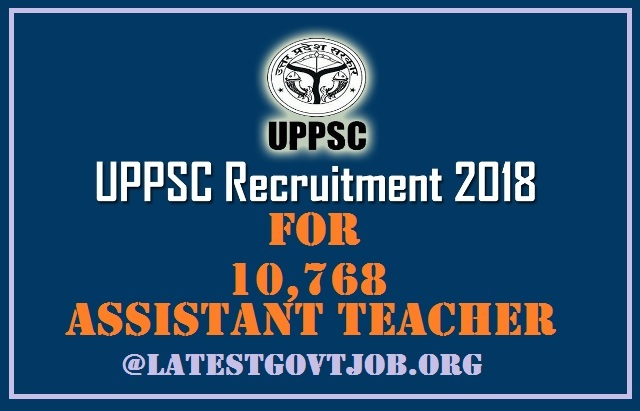 UPPSC Recruitment 2018 For 10,768 Vacancies of Assistant Teacher | Apply Online @www.uppsc.up.nic.in : Uttar Pradesh Public Services Commission (UPPSC) has released a notification for the recruitment of 10,768 Assistant Teachers for various subjects. Interested candidates may check the vacancy details and apply online from 15-03-2018 to 12-04-2018. Selection of candidates will be made on the basis of Written Examination. All candidates have to pay application fee through SBI Bank Challan OR online mode using Net-banking/Credit or Debit Card. Interested and eligible candidates may apply online through UPPSC website - http://uppsc.up.nic.in/ - from 15-03-2018 to 12-04-2018.